Amid unconfirmed rumours that US publishers First Second a) are negotiating translation rights with Bastein Vives, and b) that the book series in question is his line of semi auto-biographical vignettes originally published under Delacourt's Shampooing line, with each volume titled after and addressing a different topic: Love, Video Games, Blogosphere, Family, War, Comics. 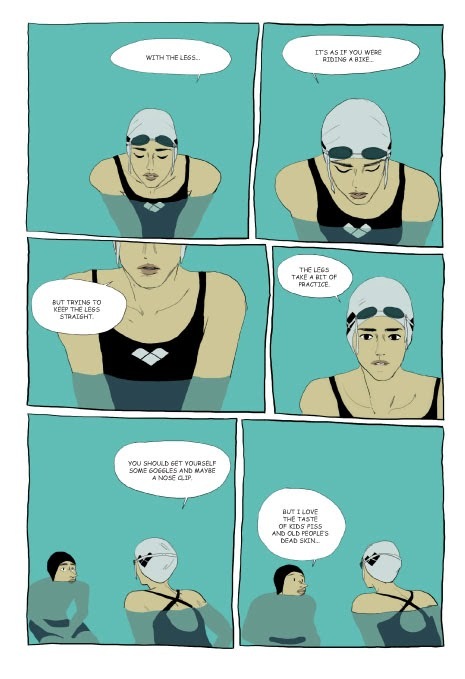 Another English language translation of work is truly excellent news- so far UK publishers Jonathan Cape have been the only ones to translate his work- A Taste of Chlorine in 2011 and Polina in January of this year. 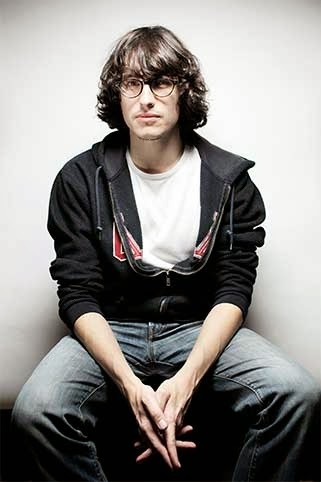 It crossed my mind, though, that I often rant and rave about a particular artist whose comics I love, and with someone like Vives, a lot of people may not be aware what the fuss is all about. So I thought I'd do a brief bookography, listing notable works, with brief plot summaries (I can't read French, unfortunately, so apart from Chlorine and Polina, these will be story summations) and, of course, the veritable jackpot: sample pages. 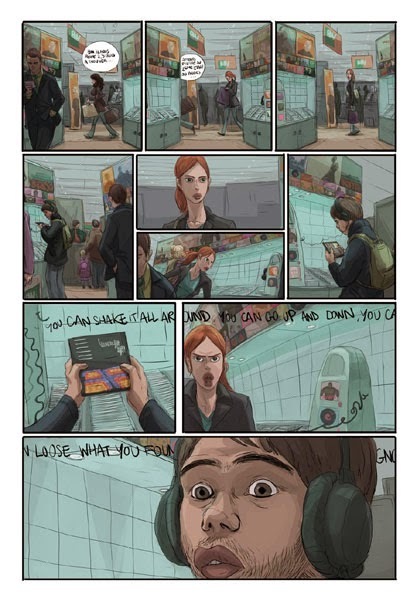 I think Vives is one of those artists around whom the hype is wholly justified: he can write- switching from genre to genre with ease, he can draw, he has range: he studied applied arts, graphic art and then animation, he excels at collaboration and he only turned 30 last month, so hopefully there's a long and illustrious career ahead. At 30, he is already very prolific. Perhaps this article will provide a brief glimpse of those assertions, and to the breadth of his talent. 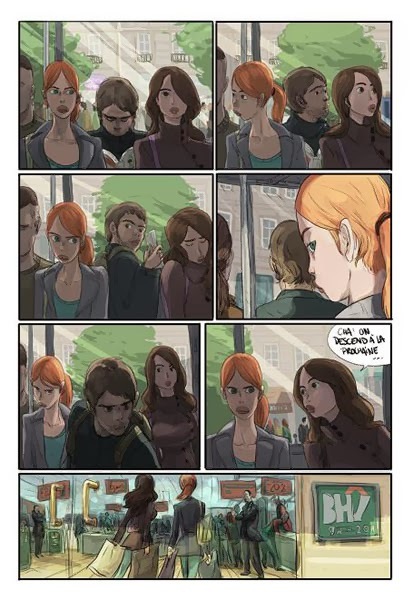 Elle, 2007, Casterman: Vives made his debut as comics author in 2007 with Elle, with a fairy straightforward story of 2 childhood friends- Alice and Charlotte who have grown up together, and are still confidants and shopping buddies. The girls have a fairly romanticised notion of love and are waiting for their ideal man to turn up, much as in the movies they watch- but when he does turn up he happens to be the same guy, forcing the girls to abandon their teenage ways and confront the realities of growing up. 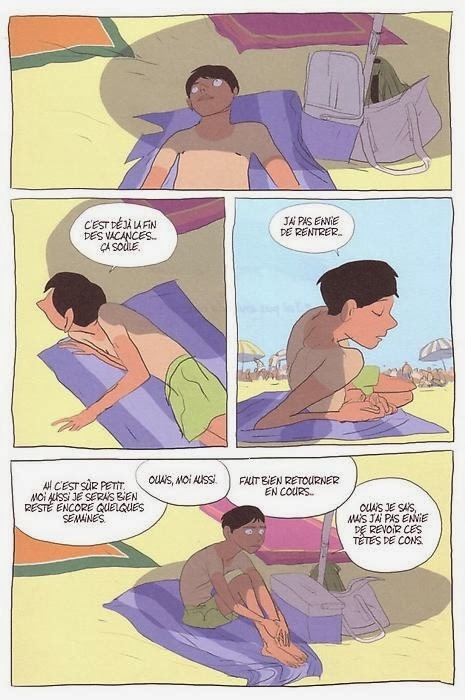 Hollywood Jan, with Michaël Sanlaville, 2008, Casterman: Jan lives in apartment his life is crap, he's shy, self-conscious, and finds it difficult to integrate, and so he takes refuge in his head creating an imaginary existence, and imaginary friends. However, these are no ordinary imaginary friends, but 3 of Hollywood's most macho macho men: Sylvester Stallone, Arnold Schwarzenegger and Russel Crowe. As Jan grows in confidence and begins to assert himself in the real world, one of his imaginary friends isn't pleased with his progress and a battle of the mind ensues. This one sounds like a lot of fun. 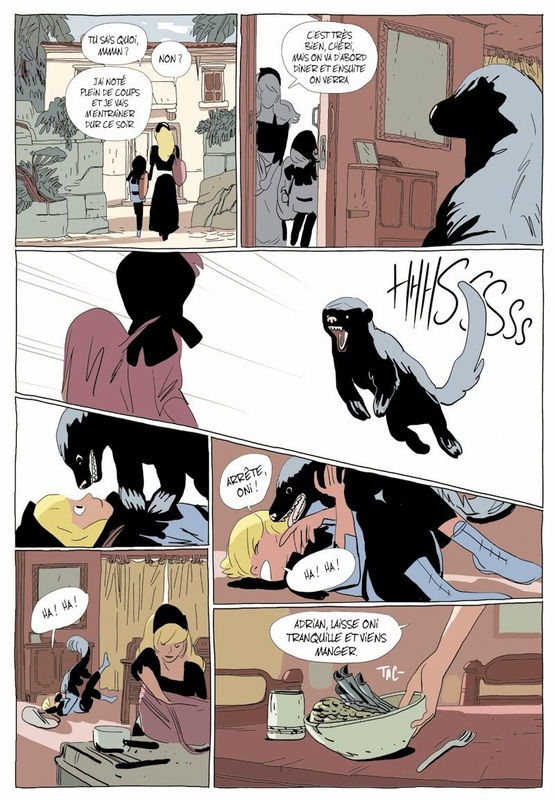 Le Goût du chlore (A Taste of Chlorine), 2008, Casterman: This is the book that won Vives the Prix Revelation at Angouleme at the age of 25, and it's pretty to easy to see why. It's one of those stories that seems to sit well with award panels in any medium: meditative, open to interpretation, following a man in his twenties as he undergoes physiotherapy for his back. 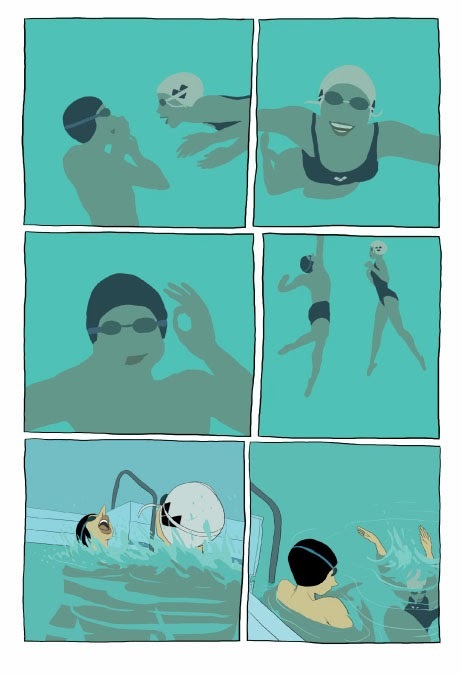 That results in him undertaking regular swimming sessions at the local pool, with Vives establishing a hypnotic rhythmic tone, in the repetition of the routine and the movement of the swimmers. 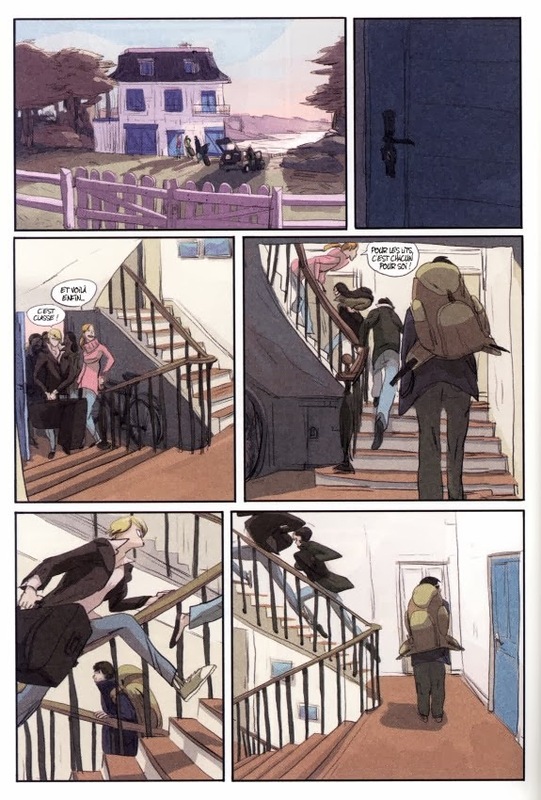 He meets a mysterious girl there, and the two strike up a rapport, at which point things take a turn. I wrote about in more depth here, if you're interested. This is also one of the Vives books that is available in English and I'd very much recommend you buy it. 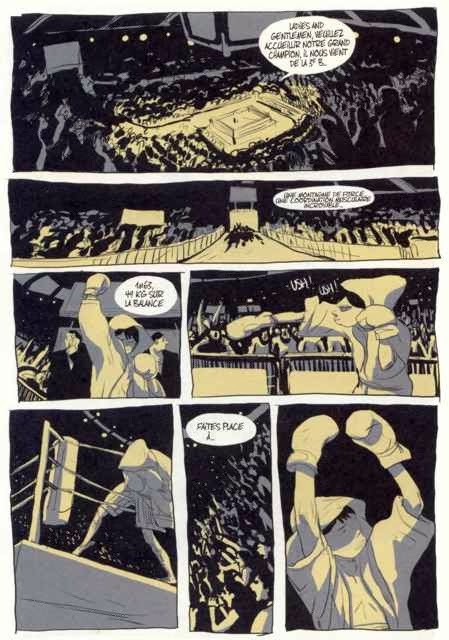 Dans Mes Yeux (In My Eyes), 2009, Casterman: On the surface, the plot of Dans Mes Yeux isn't revolutionary. 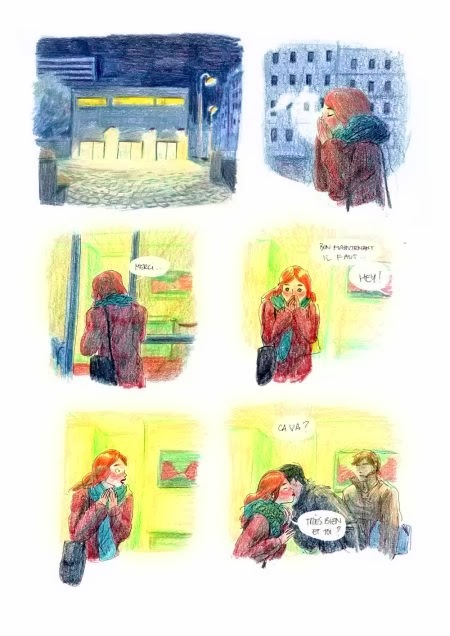 A guy meets a girl, they go home together, she leaves the next morning. 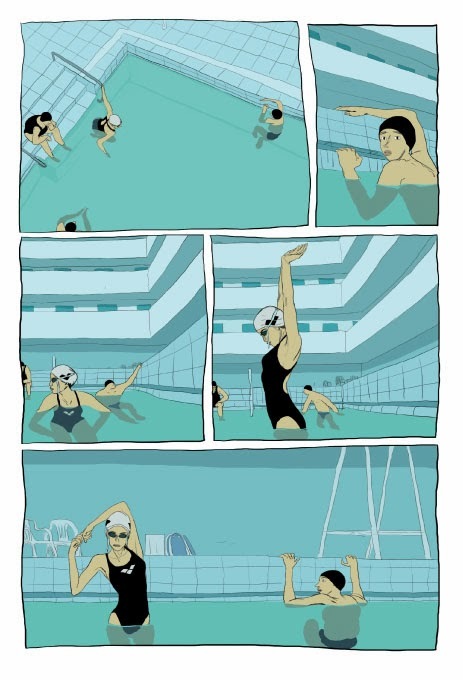 Where it is different, is that the narrative is told entirely from the view of the male protagonist. 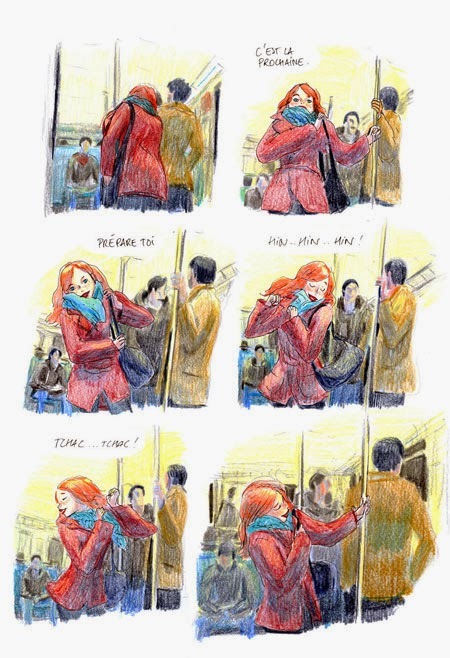 Vives is constantly experimenting and as well as using techniques where the images get blurred as the protagonist's concentration wavers, the art here is composed from pencil crayons and looks pretty stunning for it. 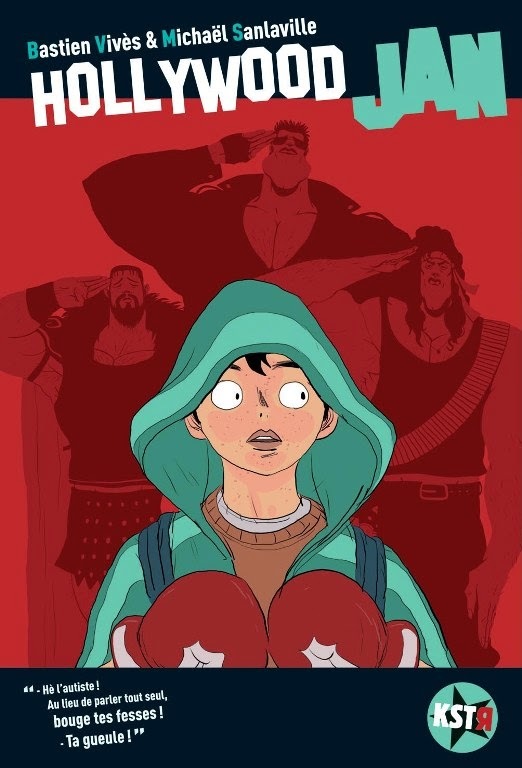 You can read Bart Beatty's review of the book over at Comics Reporter. This is one of the ones I'd love for a translation of. 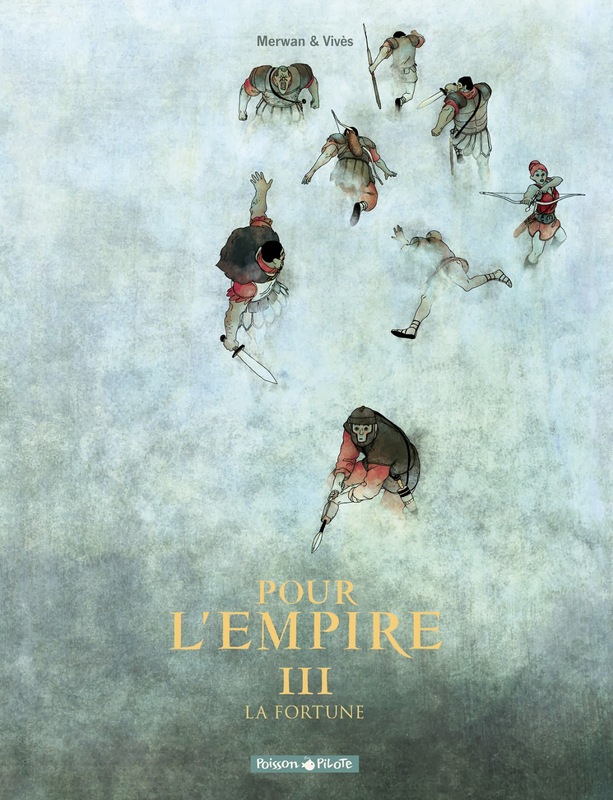 Pour l’Empire (For the Empire), with Merwan Chabane, 2010, Dargaud: I believe Vives and Chabane are still currently working on this- 3 volumes in, the first of which was published in 2010, Pour l'Empire is an epic saga featuring an elite battalion led by Glorim, whose mission it is to discover unknown lands where the Empire has not yet planted its flag. Glorim's 'team' is characterised by the personality, powers and abilities each individual possesses, together forming a formidable troop. The art in this one looks absolutely amazing reminiscent of Eastern tapestries and paintings. 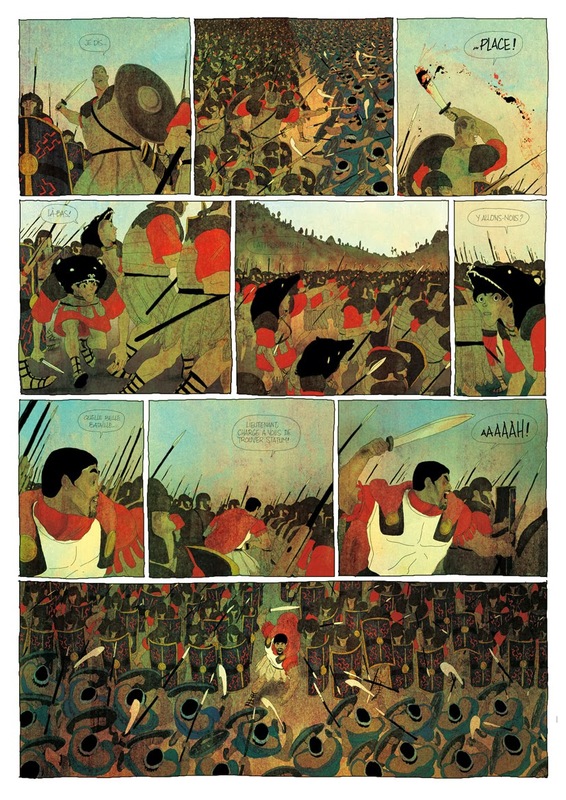 Polina, 2011, Casterman: Writing this piece reminded me I've yet to write a review of Polina. 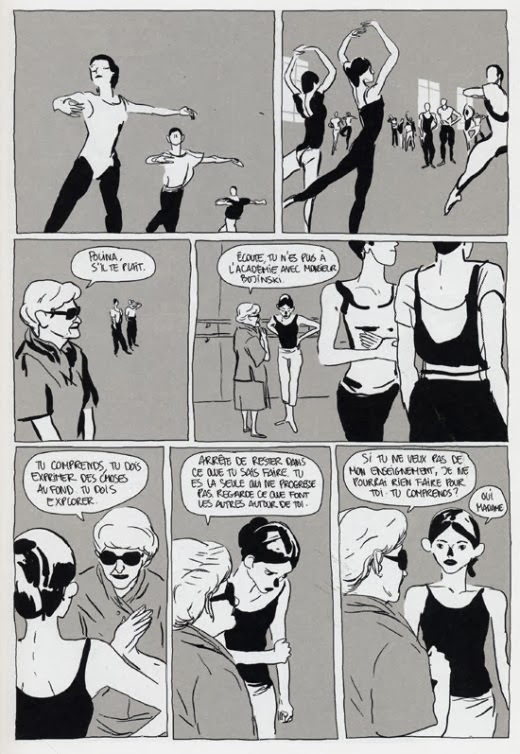 Vives fascination of the human body and figure-work comes into play once again in this tale of a young girl in ballet school. 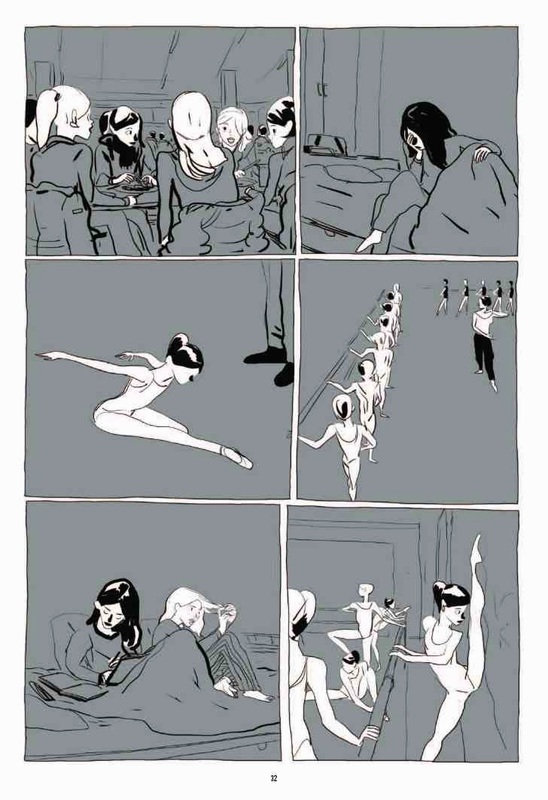 Polina knows only dance, loves dance, but at the same time isn't convinced the route she's taking of becoming a classic ballerina is the one that she'd like to pursue. 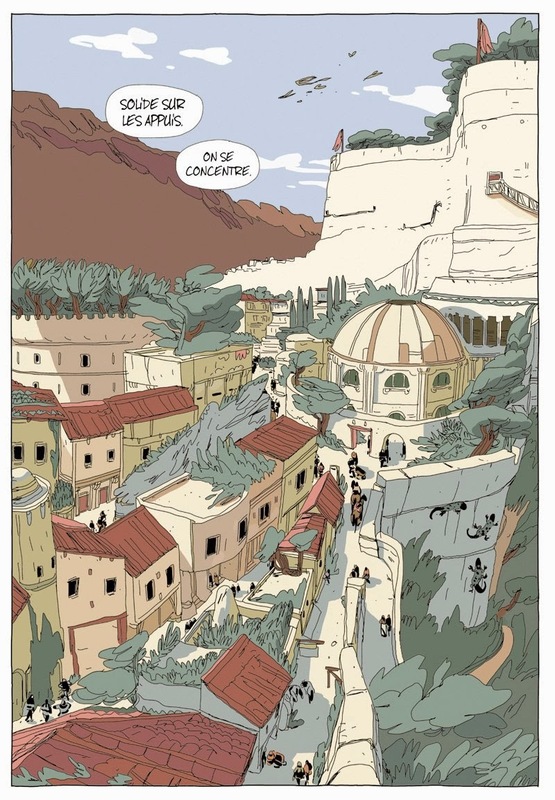 Vives has this ability here he can make things look simultaneously detailed and simple, and Polina is a prime example of that- the best book I've read this year, and one you could look at for hours on end. 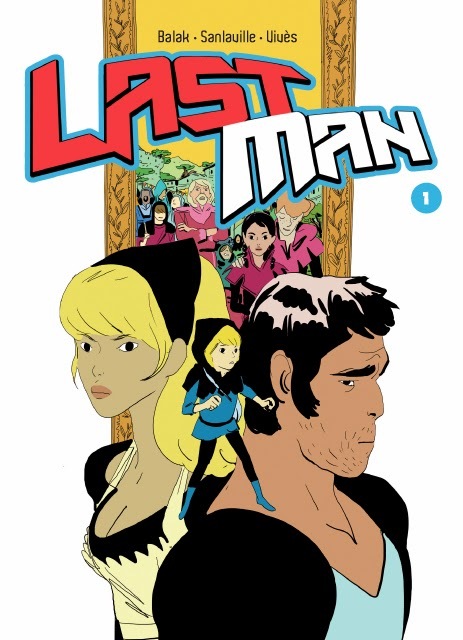 Lastman, 2013 onwards, with Balak and Michael Sanlaville, Casterman: This is probably the series that will interest a large audience: with 3 volumes published so far, Vives, Balak, and Michael Sanlaville aim for the Lastman series to be 12 volumes long and to release it as an animation and video game- or for the story to extend into these mediums. 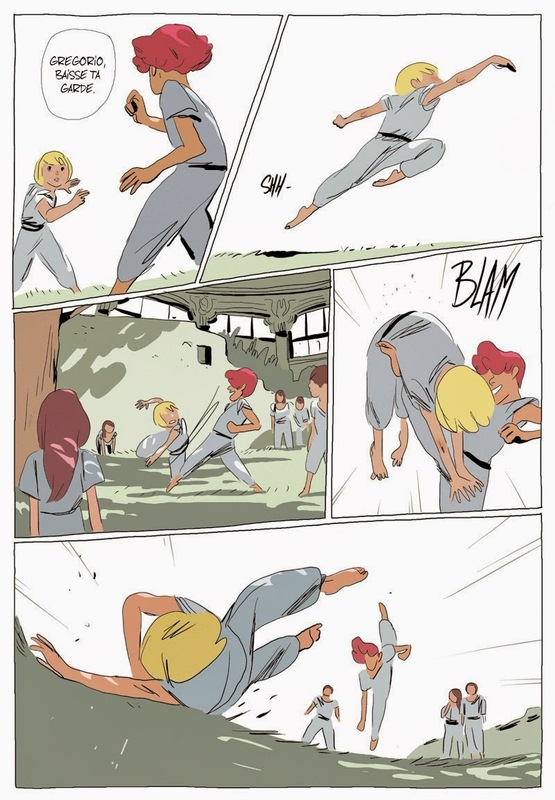 Inspired by gaming and Japanese comics, specifically shounen manga, Lastman follows Adrian Velba, a happy 12-year old enrolled in Battle School under Master Jansen, and looking forward to participating in the annual largest martial arts tournament sponsored by the king and queen. However, disaster strikes as a few hours to the close of nominations, his partner pulls out, sick, and Adrian, requiring a partner in order to register finds help offered from an unlikely source. The art here is sublime, isn't it: so loose and expressive and yet clear. Gorgeous. 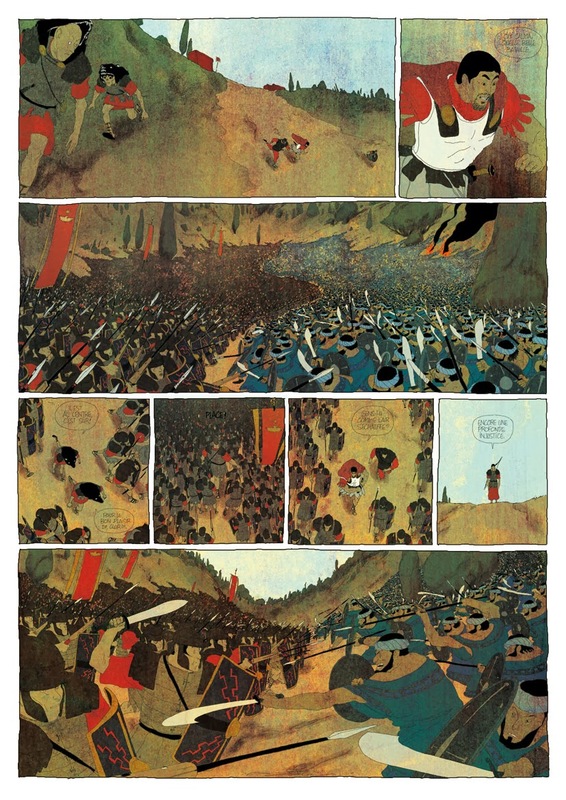 And that wraps up your introduction to Bastien Vives and his work. I hope that gives an inkling to what I'm banging my drum about all the time. I should point out, also this is a rundown of major works, not a comprehensive list of everything Vives has done. Apologies if some of the summations don't make sense- I can't speak or read French and have been putting text through translation programs.